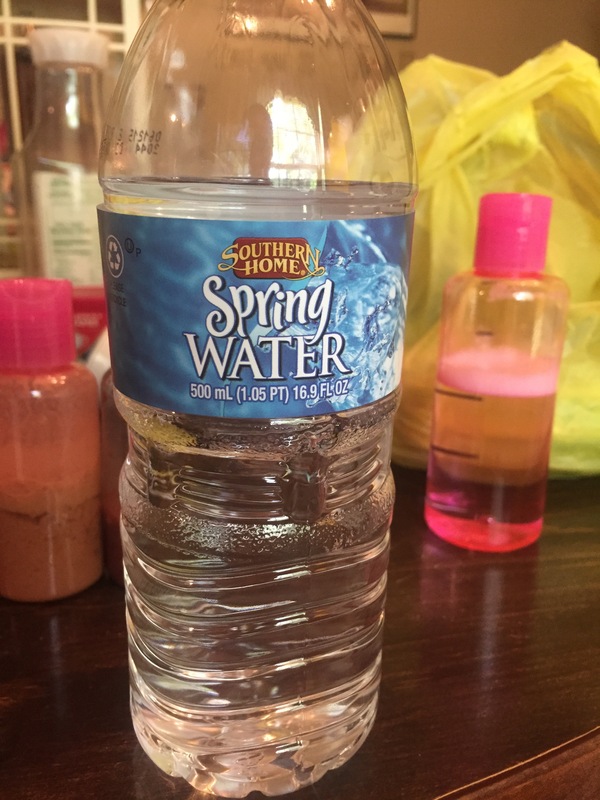 Note: does not matter brand of bottled water. 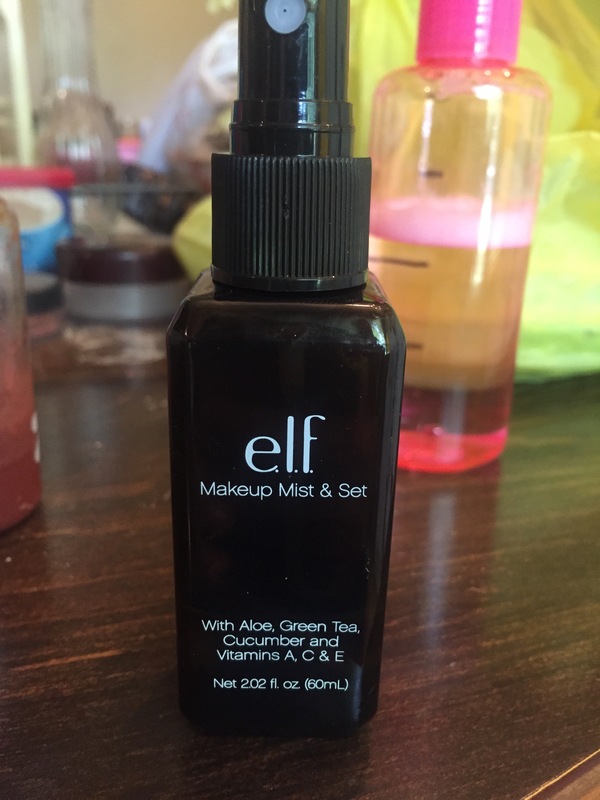 Note: you can use what ever setting spray you want. 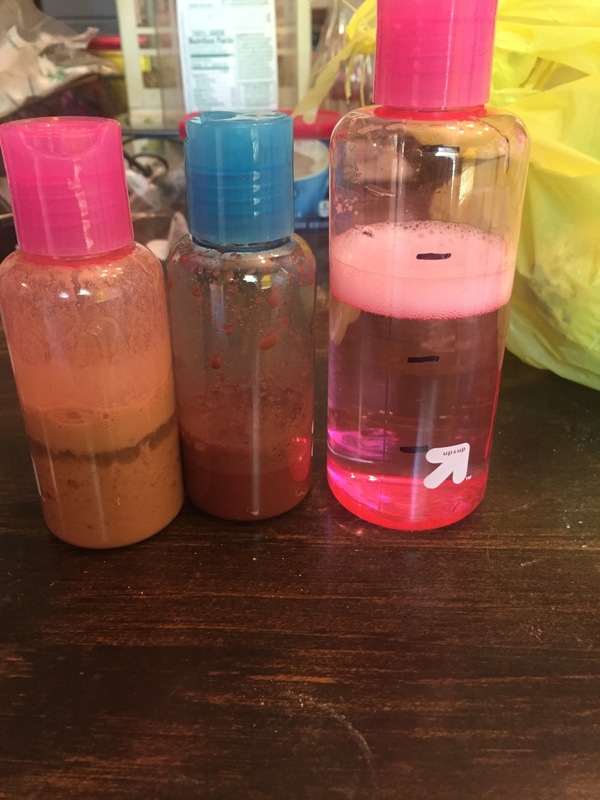 Note: you can use whatever mineral powder you want. You can get ball bearings at your local hardware store. 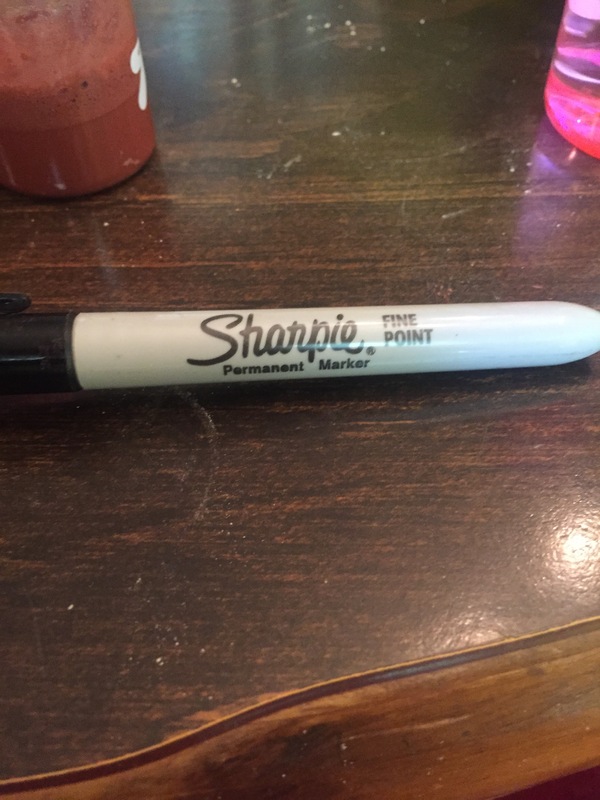 Grab your bottle and the sharpie and draw lines splitting the bottle into 4 parts. 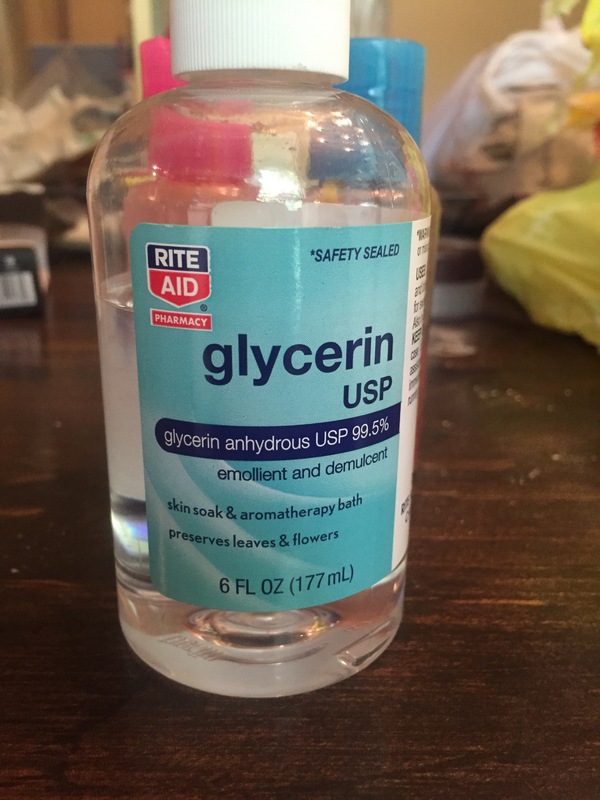 Fill the bottle up to the first line with your glycerin. Add water up to the third line. 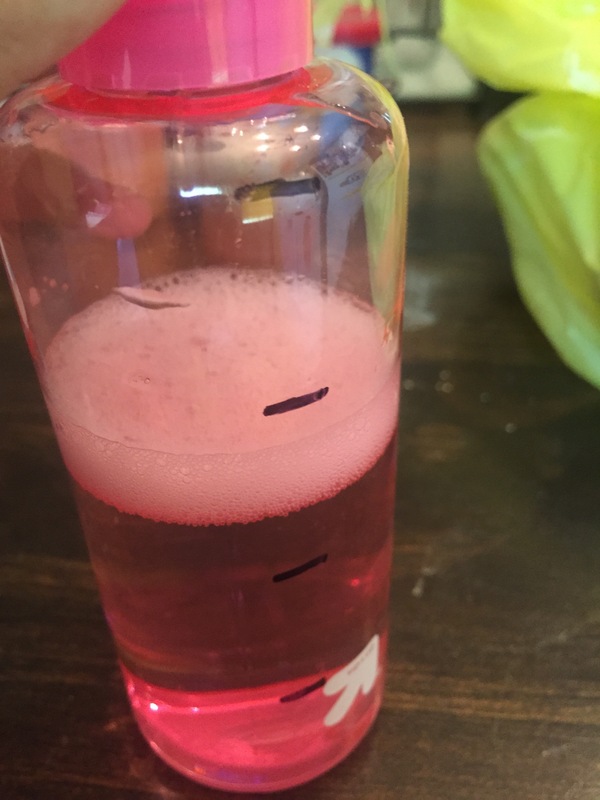 Add setting spray up to the last line. 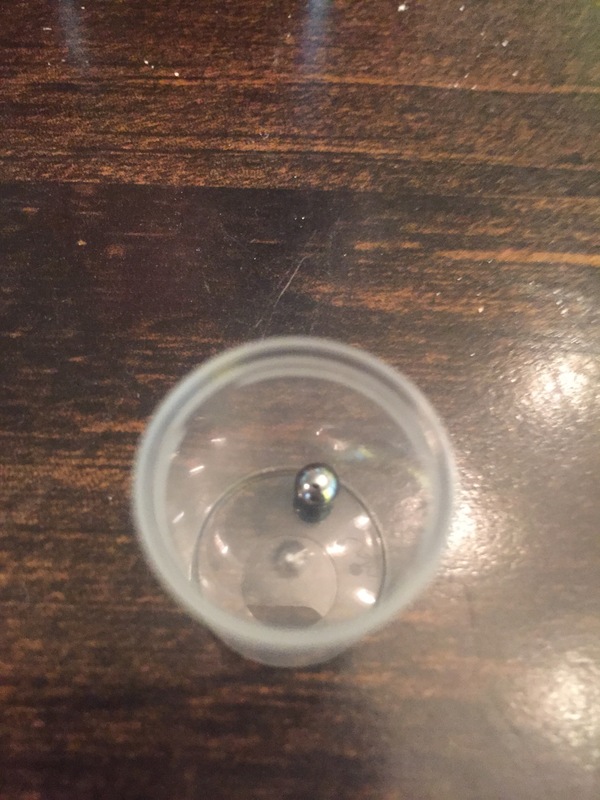 Drop in two ball bearings and mix for 30 seconds. 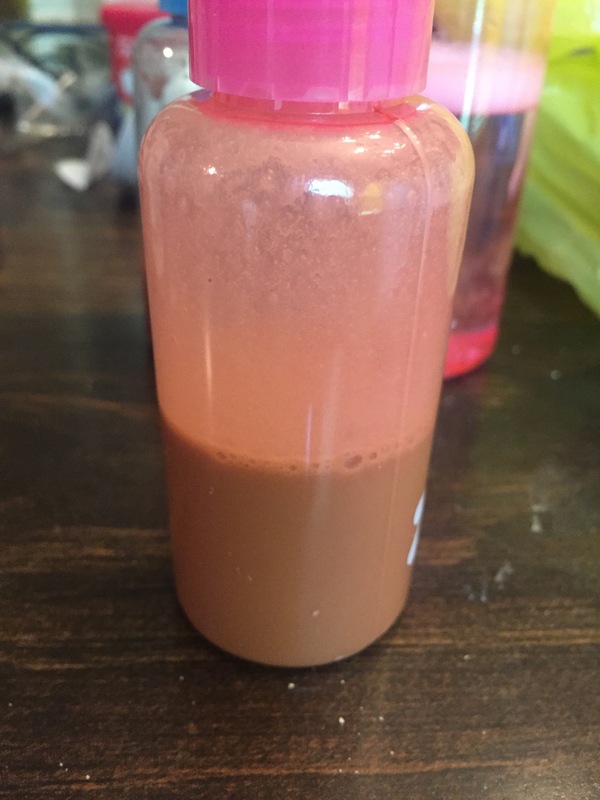 add any mineral powder to fill 1/3 of the bottle. Drop in 2 ball bearings and shake until it is mixed completely. My mom has this room we always called the junk room, recently I have reconsidered renaming it “the hall of hidden treasures”, and here is why. 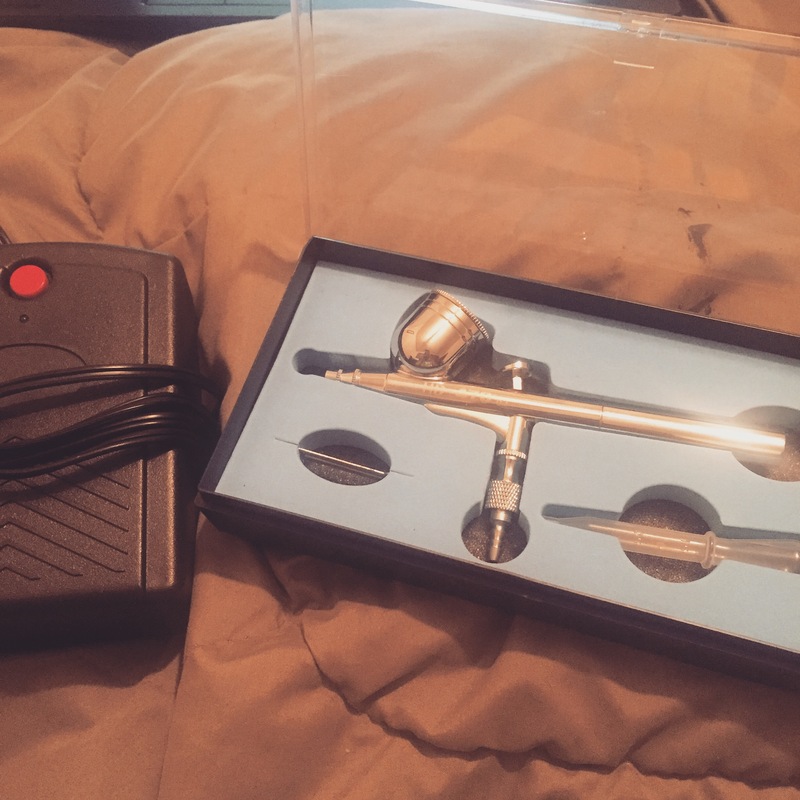 Yes my friends, that is a brand new airbrush gun and compresser that was just sitting around in my new favorite room. 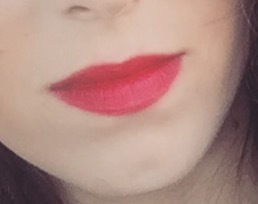 Get ready for a ridiculously long blog tomorrow about me experimenting with airbrush makeup, because IT IS COMING!!! I know this says “how to”, but I like to refer to this as my 5 year plan. I am hoping that by setting this out now, I can look back on it as something to remind me of where it is that I want to be. I do not see myself as your normal, cosmetologist. While I plan to work in a salon, I actually want to focus on event makeup and hair. 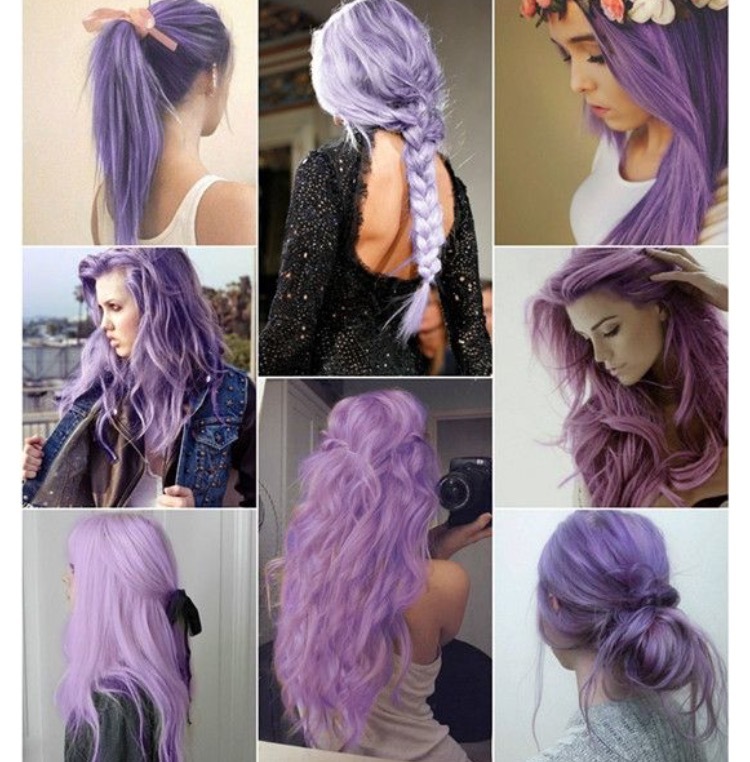 I know, I said and hair, and you are probably freaking out a little right now because everything you have ever read says you need to choose one and focus on it, but I am not buying that. 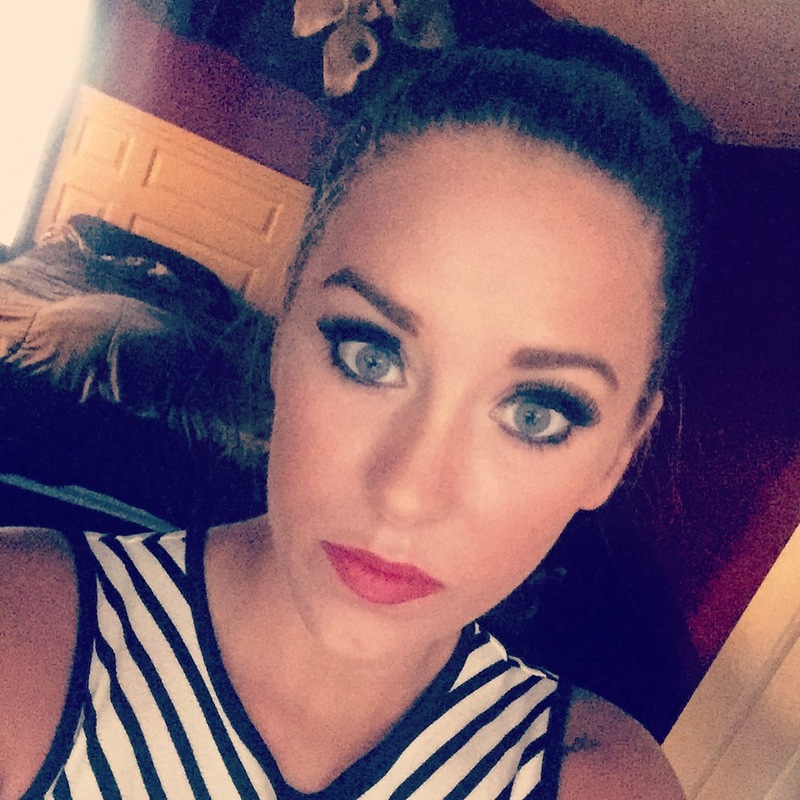 Picture this, you are getting married and you have to hire someone to do your nails, hair, and makeup. Also, what about your maid of honor and bridesmaids, are you going to pay for that for all of them too? Psh, just hire my company. Nails? Starts out at $20 (for hands) $25 (for feet) and only $40 for both… and the more people the cheaper it gets. But honestly, that is still crazy expensive right? Ok,ok, I am sure you get the point, but how do I plan on getting to that point? Well, get ready for my plan. This is probably the most obvious, I am in school to become a certified cosmetologist. Weekend workshops are your friend! I have already found a 2 day advanced airbrush makeup workshop that I have every intention on attending. Invest in a good camera! What better way than to show your amazing work, than with a camera that can capture all of the little details. PRACTICE! I am already making a list of friends and family in my head that will let me do their hair and makeup, just so I can take pictures of it. Who doesn’t want to get pampered for free? Build a portfolio. You didn’t buy that expensive camera, and spend all of those hours practicing for nothing. I personally recommend purchasing a domain and setting up a website, and number 6 will show you why. Nothing makes people want to hire you more than having a well designed website to show off your talents. NETWORK/PUBLICIZE! Get that portfolio out there. Hand out business cards, get your friends to share on Facebook, Twitter, Tumblr, and etc. I mean, wouldn’t you be curious if I handed you one of these beauties? 7. Collaborate. One idea that I LOVE, is to pair up with an up and coming photographer. You both need to build your portfolios, so find some women, dress them up, do their hair and makeup, and take fabulous pictures…duh! 8. Last but not least, be PROFESSIONAL. Be on time, be polite, do what you came there to do, and do it well! So many of you may or may not know that I was enrolled in school for Criminal Justice. I don’t know what it is, but something was holding me back from pursuing my love of cosmetology. Well, I am sitting in the office right now waiting to officially switch over, and I will begin my Cosmo classes July 15th!!! 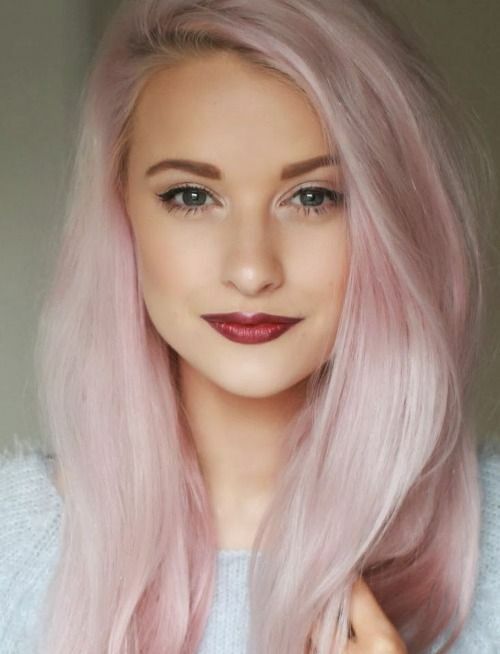 Pastel hair, the trend I wanted to hate, but I just can’t. 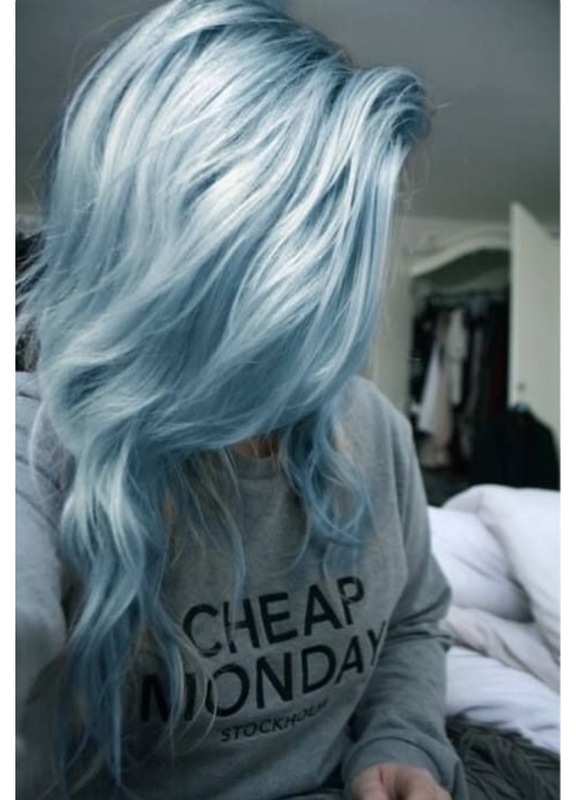 But that is just it, I totally love it I have decided I will be trying this color out at some point, because I just love it so freaking much. 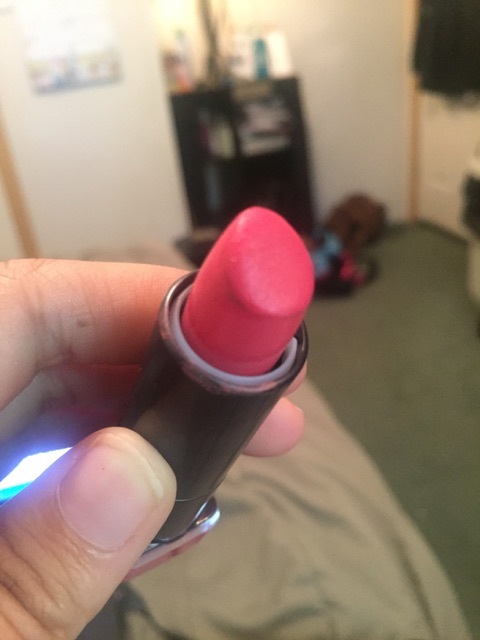 Right now, it is actually the color you all have voted for the most, so it may be sooner than later that I get to try it out. 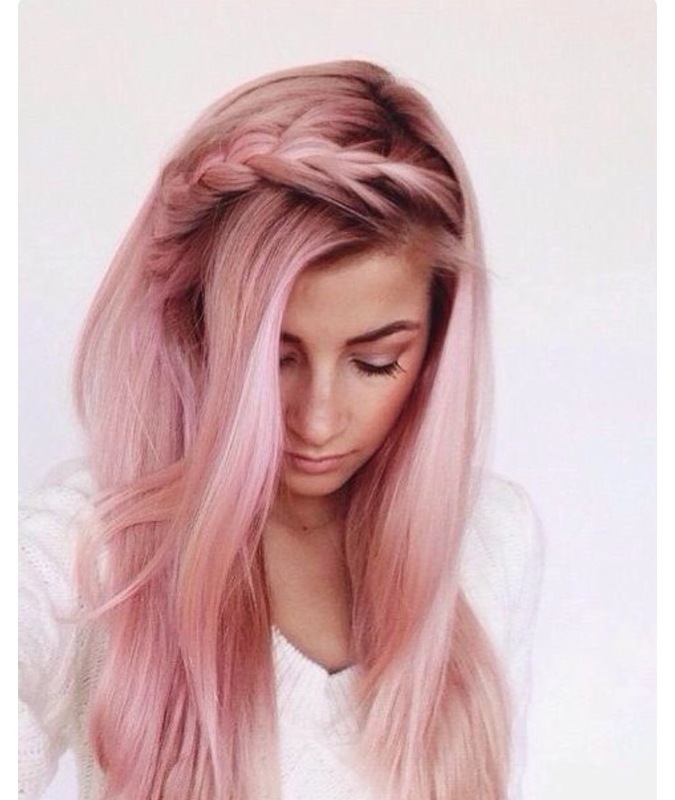 Have any of you tried pastel, and if so did you love it or hate it? Here are the colors again, and the voting link! So, far we are at a dead even tie for everything but red! So I actually really like this palette. 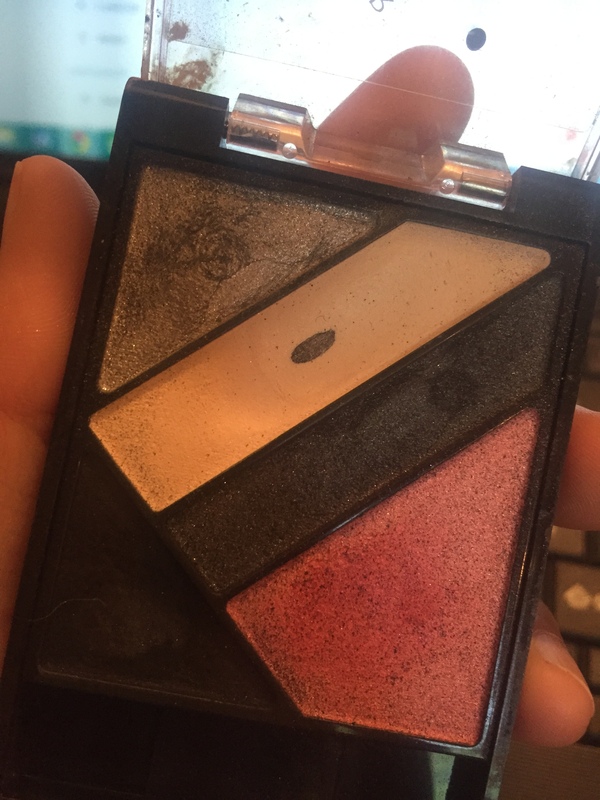 You can obviously tell that the highlighter and the black are the two colors I use the most often, but I like all of the colors in the palette. 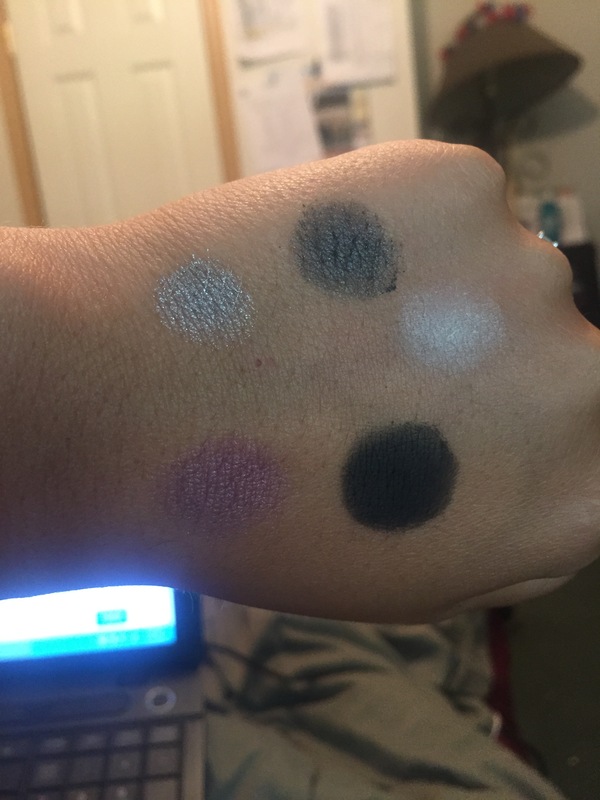 These colors are very pigmented, go on smooth, and stay on. The black is actually my favorite black eye shadow that I own. 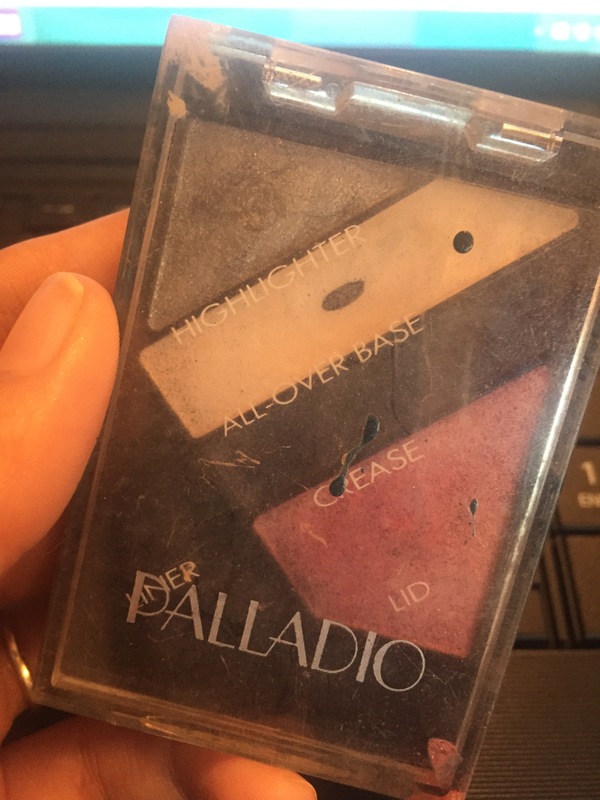 The only downside I could find in the palette is that there is fall out, but what eyeshadow doesn’t have that. I would say that the sparkle black has more fall out than the others. So if it has not become clear to you yet, I am getting a lot of posts done. 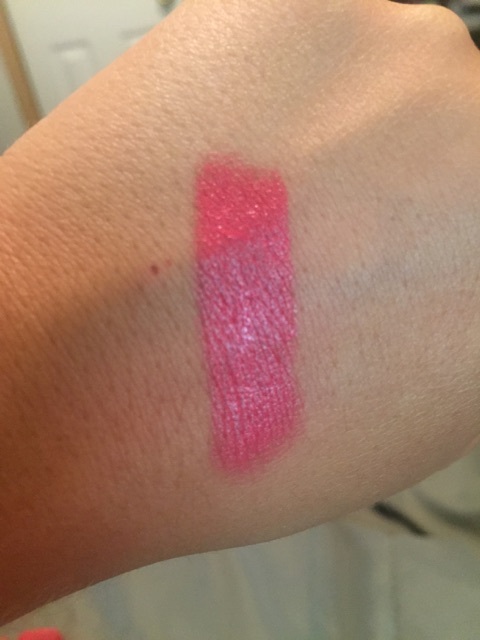 I just had surgery, Friday, and what a better way to spend my bed rest than to blog about beauty products! 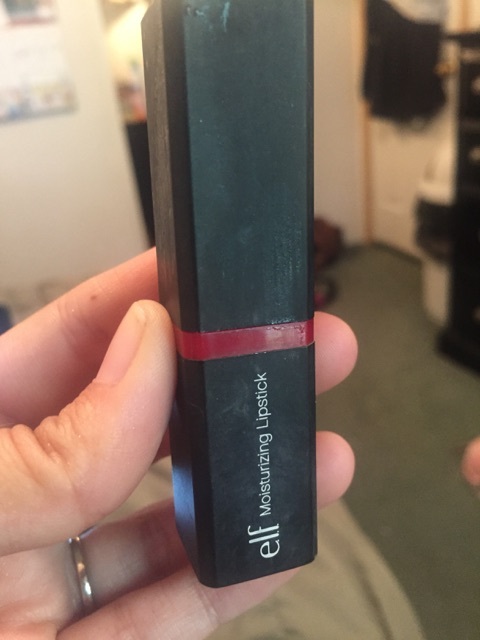 So for this one, I pulled out every lipstick I own, except for the e.l.f matte Rich Red that I did a separate post on . 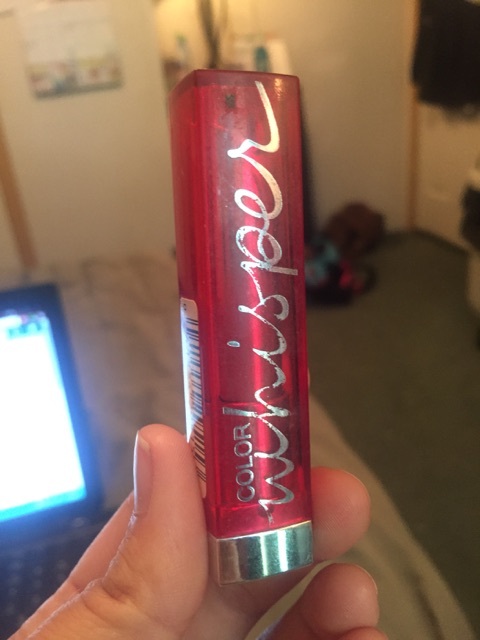 This is Maybelline Color Whisper in who wore it red-er. 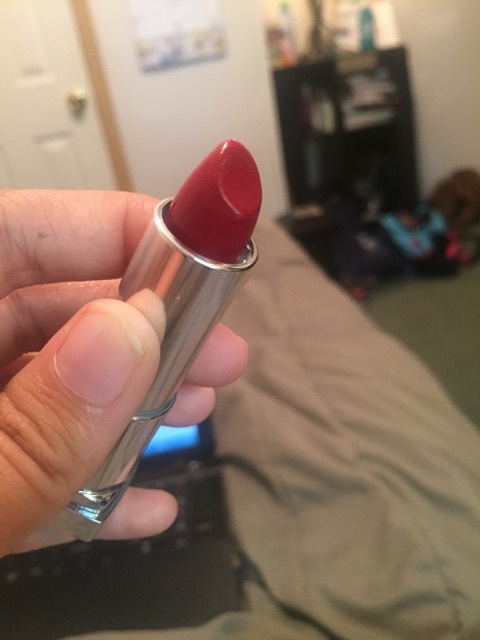 Personally, I feel that the color comes off a lot less red than it appears to be. 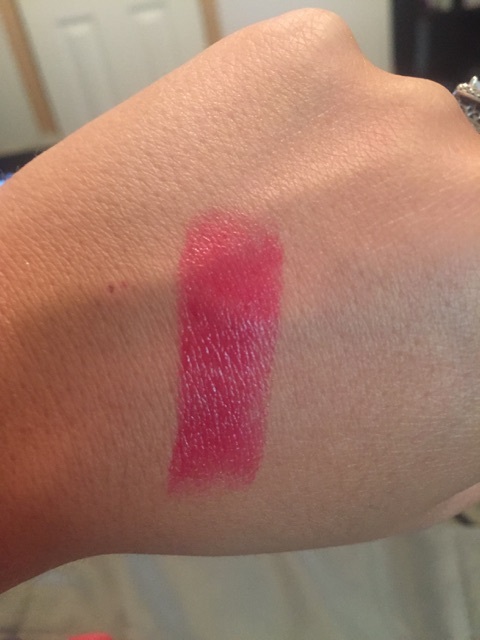 It is not as pigmented as I had hoped. This is covergirls’s fairy-tale 405. 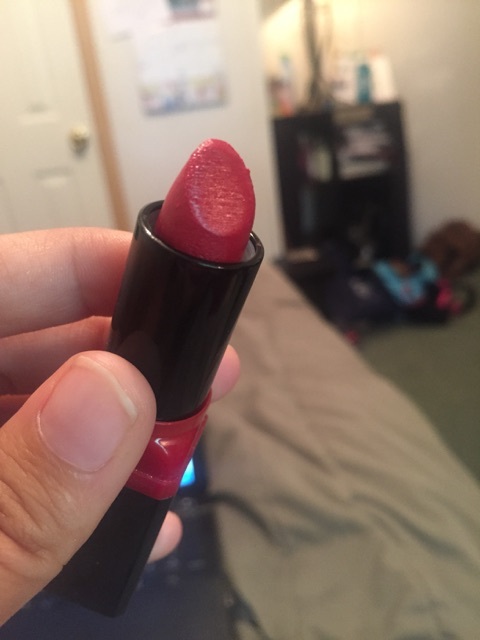 This product is not smooth, and when put on it is chunky, and just looks really cheap. 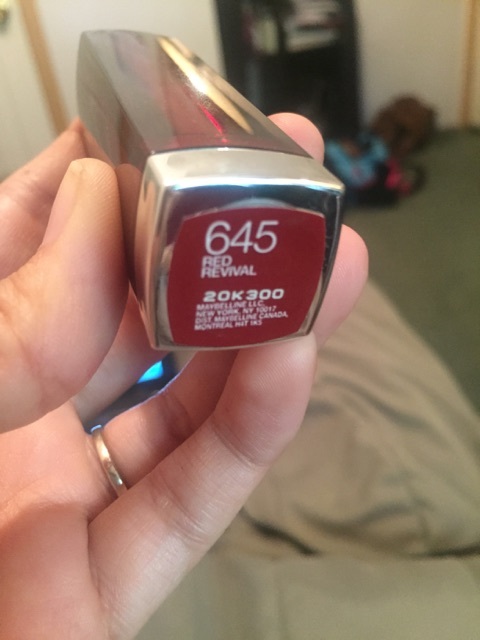 This is Maybelline’s Red revival 645. 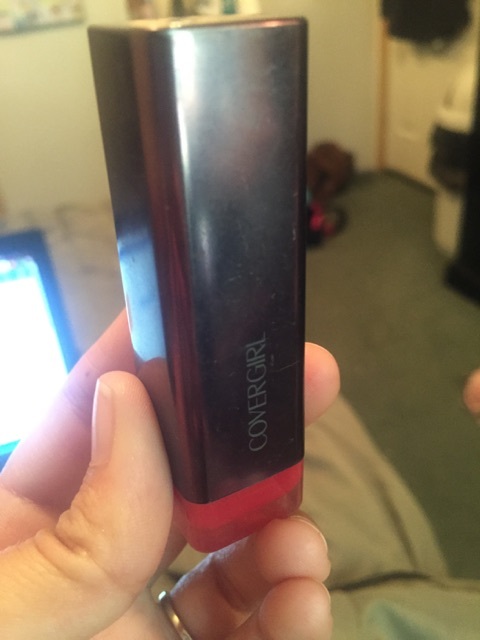 This product is smooth, and very pigmented. 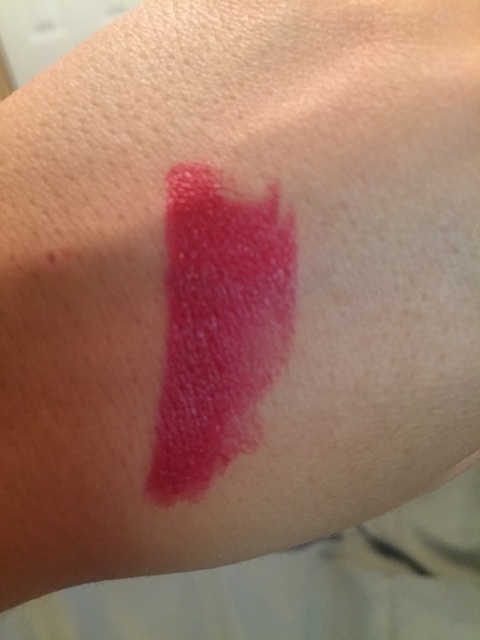 This is Eyes Lips Face Moisturizing Lipstick in Red Carpet. It isn’t bad, but it also isn’t great. 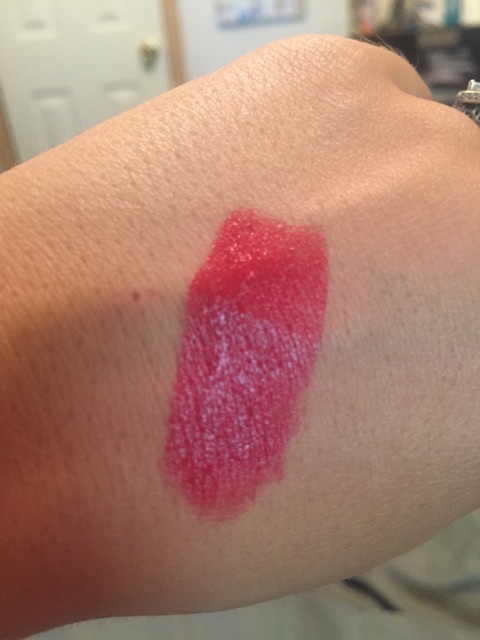 The pigmentation is pretty good, but I feel like it comes off a little chunky. 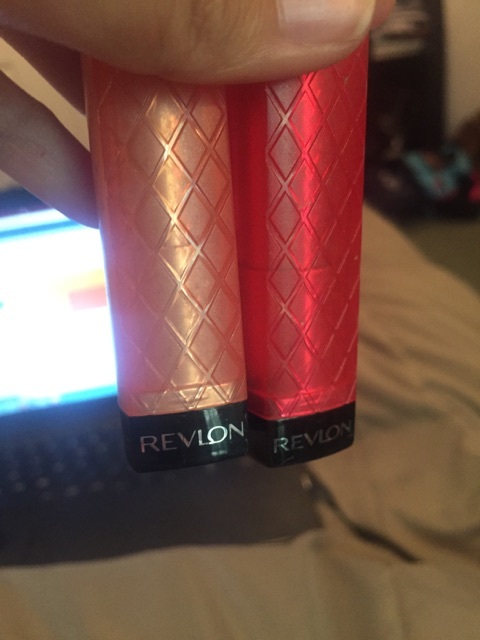 These are Revlon Juicy Papaya (lighter one) and Wild Watermelon (darker). Honestly, I gave these to my six year old to play with. 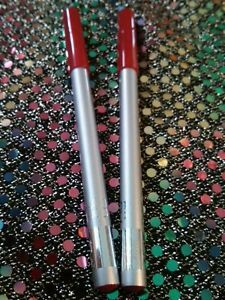 The pigmentation is awful, and they are so ridiculoisly glittery that it looks like children’s play makeup. 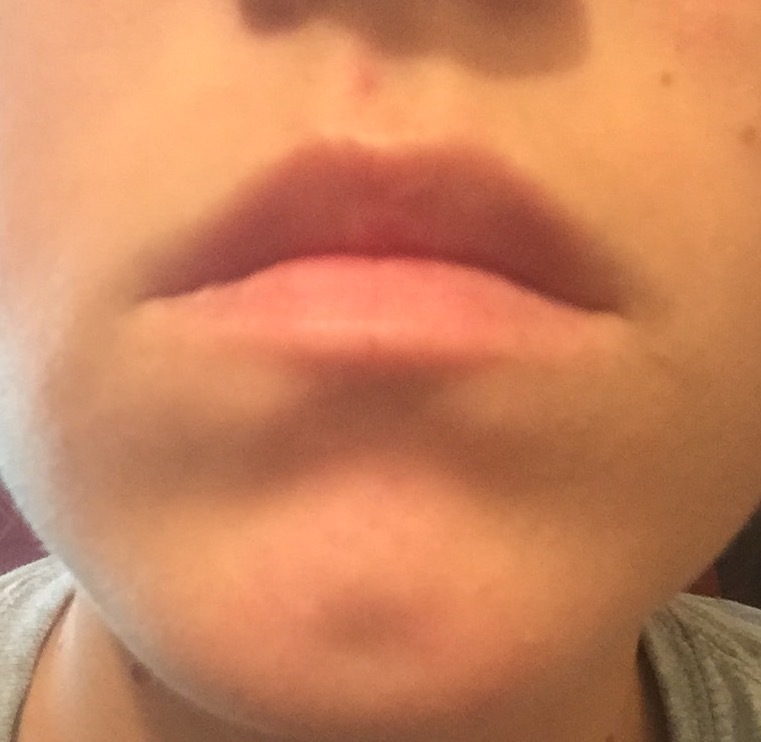 These are my super naked lips. 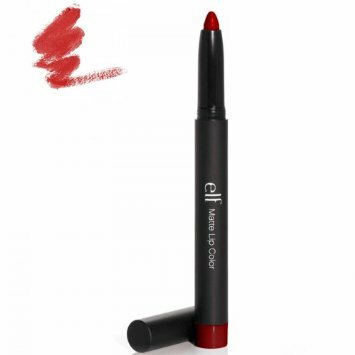 & these are with e.l.f’s matte lip color in rich red and Maybellines lip liner in 50 Red. 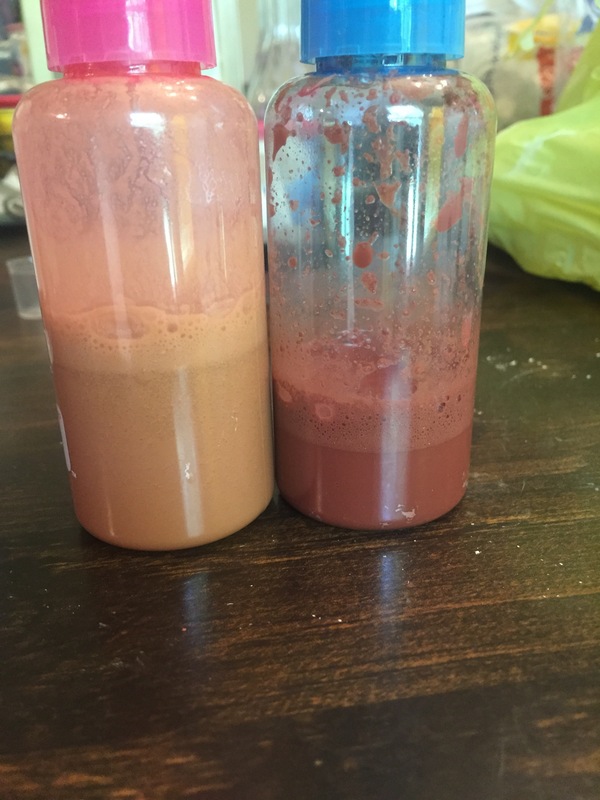 The two products shown below. 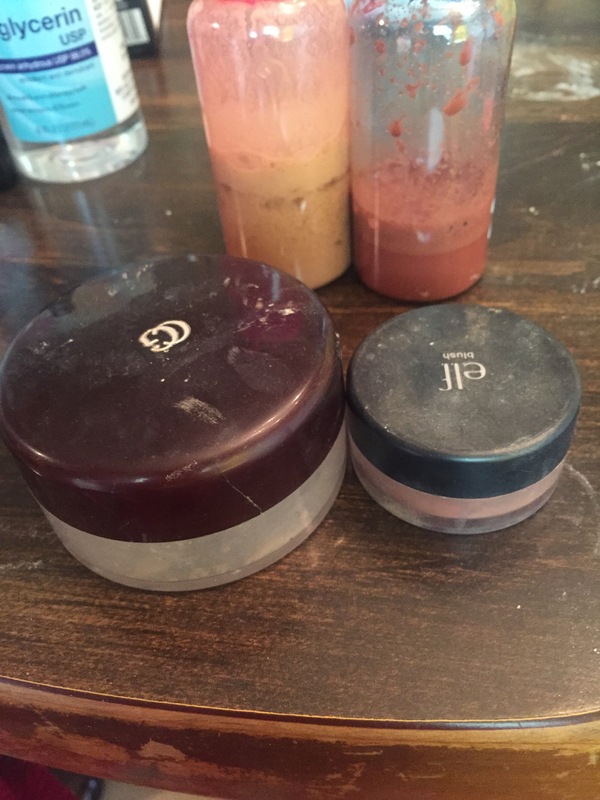 I absolutely adore these products. 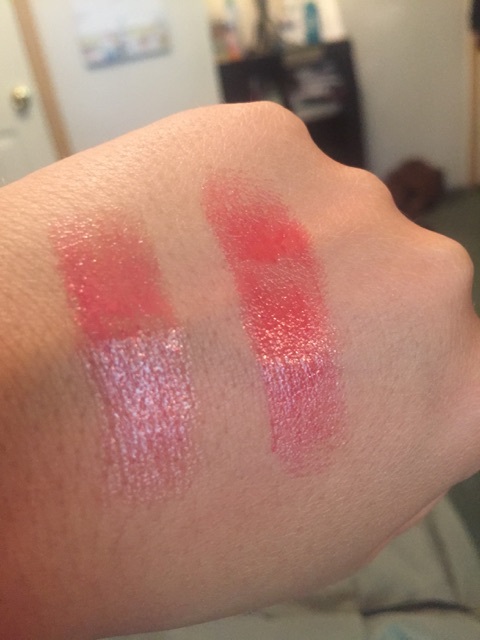 They are very affordable, smooth, long lasting, and are beautiful colors. 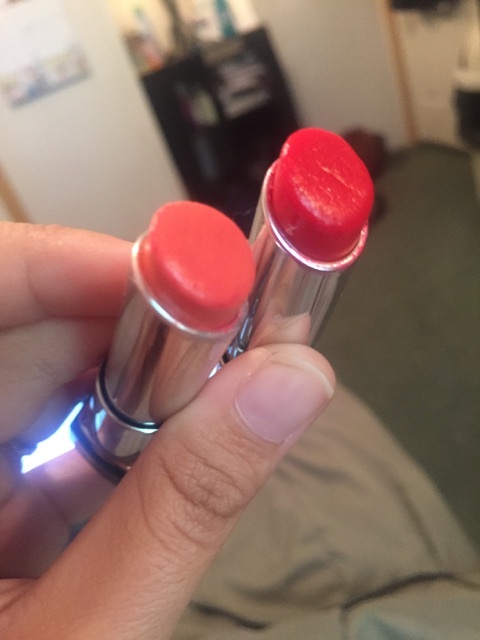 So I bought these about a week ago at Ulta to wear to a wedding. 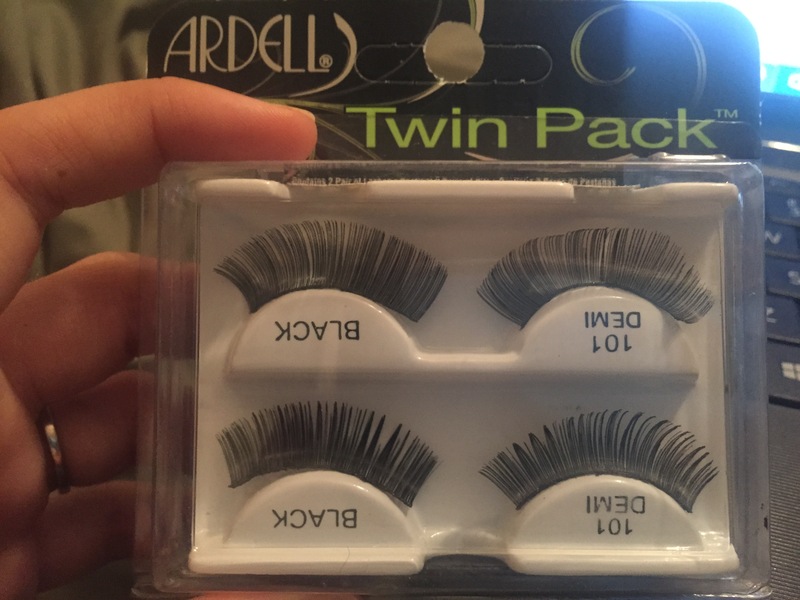 I love long thick lashes, but lets be reasonable, they need to look at least somewhat natural when you put them on. Personally, for me I just feel like these were to much. They just look so unnatural, and that isn’t really what I am going for when I wear falsies.